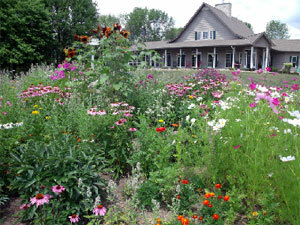 Head HERE for a free subscription to living the Country Life magazine. Easy Rebate this Sunday & Monday! If you are a Starbucks coffee drinker, I've got a deal you'll probably want to get in on! Now through August 31st, 2011, purchase Starbucks VIA Ready Brew at your favorite grocery store (excluding 3, 10, 24, and 50-count packs), then go HERE and fill out the form and send it in along with your original receipt and UPC code to receive a FREE 12 oz. 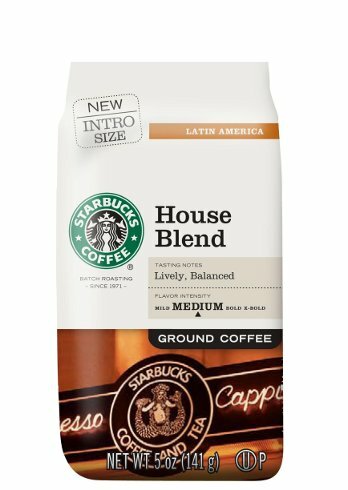 Starbuck’s House Blend Ground Coffee! This rebate doesn’t exclude the 8-count, so you should be able to score a great deal with this rebate! Use the $1.50/1 Starbucks Via Ready Brew coupon from the 2/6 Smartsource insert to get an even better deal! Get 1,000 FREE rollover minutes for your AT&T Phone! To get your free minutes, simply send a text message with the word YES to 11113020 by March 31, 2011. Looks like AT&T is worried about the competition! 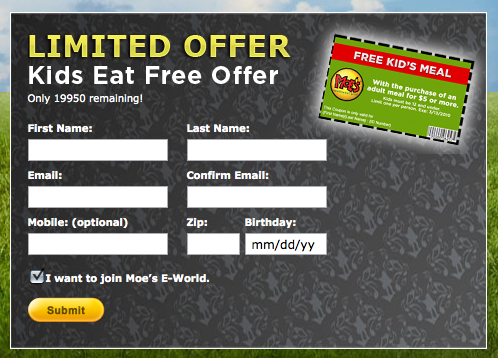 Moe’s Southwest Grill is offering another 20,000 free kid’s meals. Shop3M is offering up a pretty awesome deal right now! You can get a 3M gift box for FREE with any $25 purchase– a $25 value if purchased separately! Comes packaged in an attractive red gift box; filled with a variety of consumer-size 3M favorites from leading brands. Shipping is $3.99 or you can try to use 3MSHIP25 and possibly get FREE Shipping. $10 Amazon.com® Gift Card when you write 10 Qualifying Reviews! Gift cards will be sent out within 30 days of the program conclusion. The answer to each is Eighteen. The age of our oldest daughter. Yes, she is our "valentine". She wasn't expected to be, though. We were expecting her the first day of spring that year, March 20th. And that is how things have always been with her in our life....precious, sweet, often surprising, and even occassionally difficult. ....What is the point to that?" Ah, yes. There it is...the reason for all her reality and her dreams...loving Jesus and wanting others to, too. Shoebuy.com lowers the price of this Traveler's Club Euro Value II 3 Piece Set from $29.95 to $19.95 via code SAVE10. It includes a 20" expandable carry-on suitcase with a 14" boarding tote and a travel kit. The set is available in red or black. Shipping is free and sales tax is only charged in NY. Some things people have bought from No more rack.com. Toys R Us is offering a Buy One, Get One Free sale on Fisher Price Infant Toys priced $25.00 or more both instore and online. You don’t need a Toys R Us Coupon Code for this deal, it will automatically come off your price. Eversave has some great new codes today!!! Today's Save: Unbeatable price for two full one year subscriptions to both Good Housekeeping and Redbook....This deal is now ONLY $4 for both when you use coupon code: VALENTINE (deducts $4) at checkout and sign up for a new account! Making it just $2 a year! Sign up Here if you have not joined before. Adapted Keyboard at non-adapted price! Look what we found! YAY!!! These are each listed at $159. It should arrive by the end of the week. I'll let you know how it compares and if we are satisfied with the substitution! thanks to forthemommas for this match up! Buy 5 of the select products and get $5.00 instantly. You can buy any combination of 5 and get $5.00 instantly. February 14th get a free Redbox Rental using code BEMINE at checkout. I wish coffee was filled with joy instead of caffeine. Oh, that Jill, what a crack up! I found I was not alone in that sentiment as comments began to gather under her post. A cup of joy. I don't know. 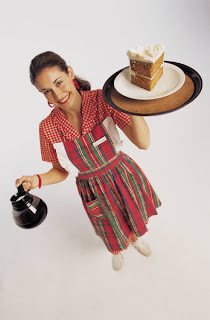 Sometimes I think I am more inclined to seek after the quick energy fix than the joy. After all, there is a lot I need to get done! In fact, I recently purchased one of those fancy schmancy Keurig machines (on clearance after the holidays, of course!) to get my coffee quicker and slicker in the morning, and tea in the afternoon, and coffee again.....a new habit that seems to have no coupons to take the edge off! (yes, I have seen the refillable k cups, have tried checking at grocery outlets, and have used the 20% off Bed, Bath, and Beyond mailers to get a discount, but still!) And so began that day. Finally, some good CVS match ups! Thanks to Onefrugalchick for these matchups! = FREE + $1.00 Moneymaker!